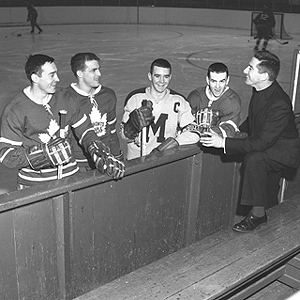 Gary Dineen, St. Michael's - OHA-Jr.
Gary Dineen played for Hockey Hall of Fame coach Father David Bauer with the Toronto St. Michael's Majors, and won the prestigious Memorial Cup with the Majors in 1961 and again in 1964 with the Toronto Marlboros. 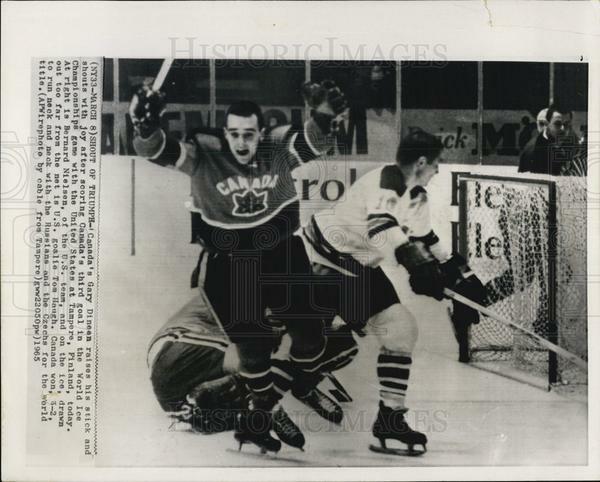 He was a member of the Canadian Olympic team in 1964 and 1968, leading the team in scoring during his first Olympics. 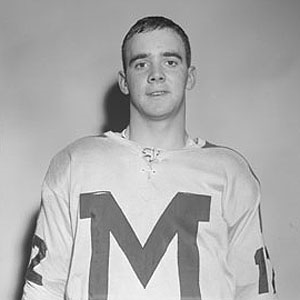 He went on to play in the Minnesota North Stars organization and finished his playing career with the American Hockey League Springfield Kings in 1971. After his time with the Kings, Coach Dineen settled in West Springfield, Massachusetts and, together with local businessman Stuart Duncan, formed what would become one of the most respected amateur hockey programs in the United States. Coach Dineen was at the helm of one of the most successful amateur hockey organizations in the United States for almost three decades before his passing in 2006. His program, originally called the Springfield Olympics, has endured name changes to the Jr. Whalers, Jr. Coyotes, and now Mass/Conn United, and has been responsible for shaping the lives of many young hockey players. 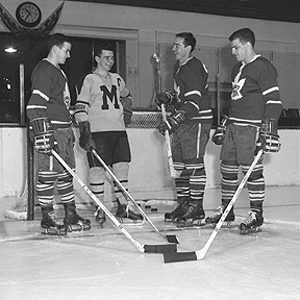 During his time running the organization, Coach Dineen provided an environment conducive to academic development, supervised athletic activity and family life. More than 320 players have moved on from the program to play hockey at some of the finest colleges and universities in the United States. Thirty-three former players have gone on to professional careers, most notably Bill Guerin, Scott Lachance, Chris Clark, Mike Komisarek and Ron Hainsey. Coach Dineen also helped develop and place many former players into the coaching and administrative ranks, including Dean Lombardi, (Los Angeles Kings, President and General Manager); Jim Mill, (American Hockey League, former Executive Vice President); Rick Bennett, (Union College, Head Coach); Brian Durocher, (Boston University, Women’s Head Coach) and many, many more. In addition to Coach Dineen’s impact at the professional and college levels, several former players have gone on to coach youth hockey, including several with Mass/Conn United. Gary Dineen was inducted into the Massachusetts Hockey Hall of Fame, in addition to being honored with the USA Hockey President’s Award and the American Hockey Coaches Association's "Snooks Kelley Award". Gary Dineen Legacy, Inc. (formerly New England Jr. 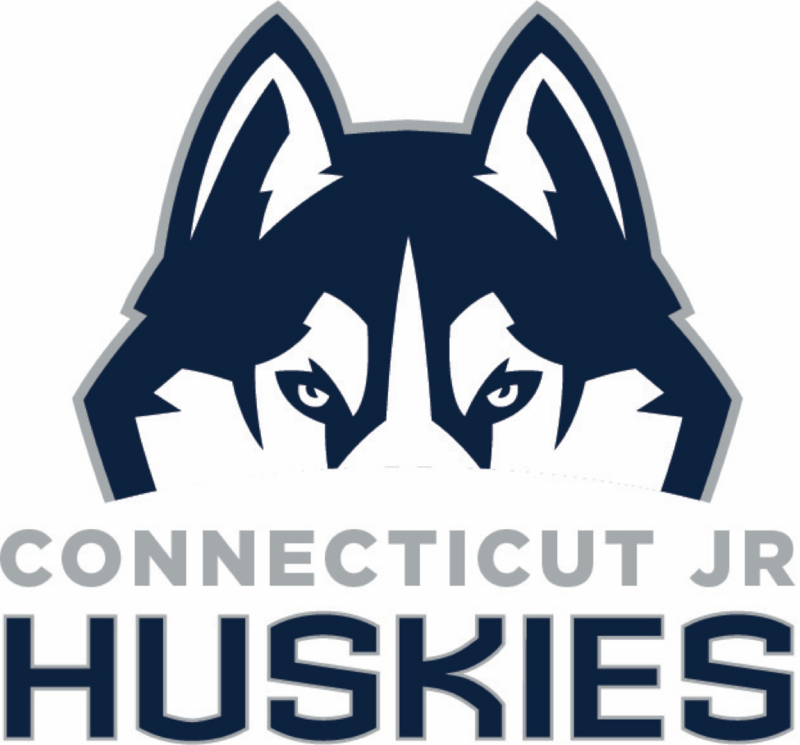 Falcons Hockey Club, Inc.) is a 501(c)3 non-profit organization and is responsible for all organizational fundraising initiatives of the Mass/Conn United youth hockey programs, which include the Connecticut Jr. Huskies, Springfield Jr. Thunderbirds, New England Jr. Falcons and Gary Dineen Hockey School. For more information on Mass/Conn United and its programs, click HERE.